Today, I'm thinking out loud about fall fashion. Kind of. One of the annoying things about working out pretty much everyday and being very consistent is that I have to do a lot of laundry. 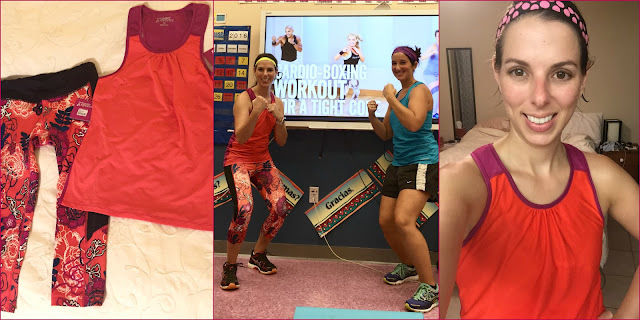 And if I don't do laundry - like I didn't last week because I was feeling sick and totally unmotivated to do anything - the first things I run out of are athletic clothes. 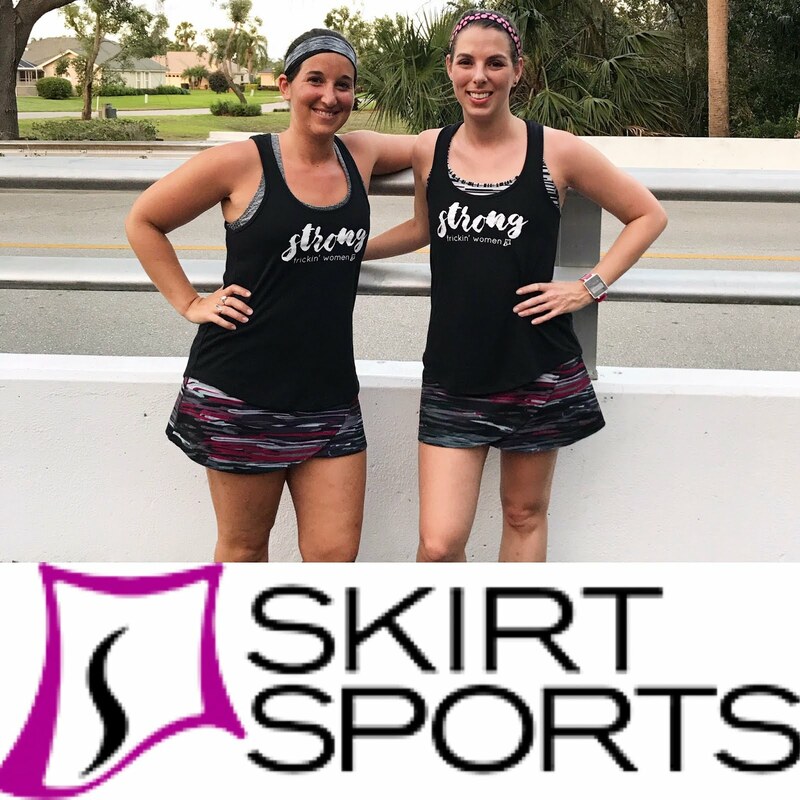 So I'm really happy that being an ambassador for Skirt Sports means that this year I suddenly own more workout clothes than I ever have before. And it's all cute stuff that makes me excited to wear it! Anyway, this fall some new prints came out and I waited patiently for all the styles I wanted to be available in said prints, and now I can't get enough! Our weather may still feel like summer, but at least my clothes are feeling fall. I knew I'd love the Enchanted print because black and pink are my favorites, but I was surprised by just how pretty it is! I wasn't sure I'd like Frolic as much but I think I may like it best. The bright orange is surprisingly flattering! 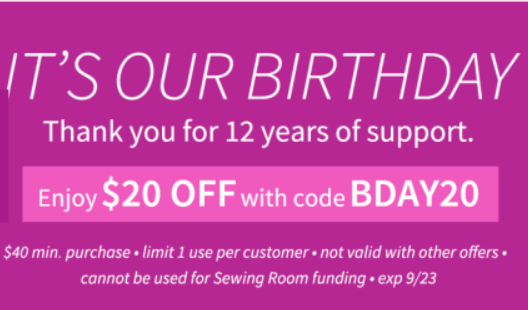 Skirt Sports is having a birthday celebration, which means you can get $20 off your purchase using the code BDAY20...You might even be able to use it in conjunction with my 20% code (ABK20) for an extra deal. Click here to shop. This isn't an affiliate link because I'm too lazy to figure out how those work. I'm currently justifying all the stuff I have in my cart because clearly I need one of everything. 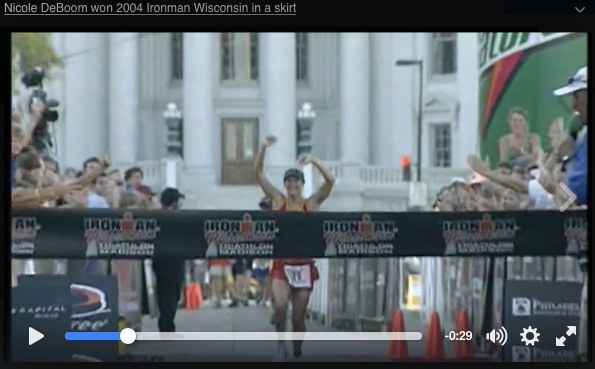 When Skirt Sports shared the birthday sale news, they posted a clip of founder Nicole DeBoom winning the 2004 Wisconsin Ironman in a skirt. LOVE IT. I don't really know how to explain it...I wrote a post a little while back about this, but it was still so hard to put into words...I just seriously love when women accomplish great, badass feats while still totally embracing their femininity. Do you follow season fashion/color trends? 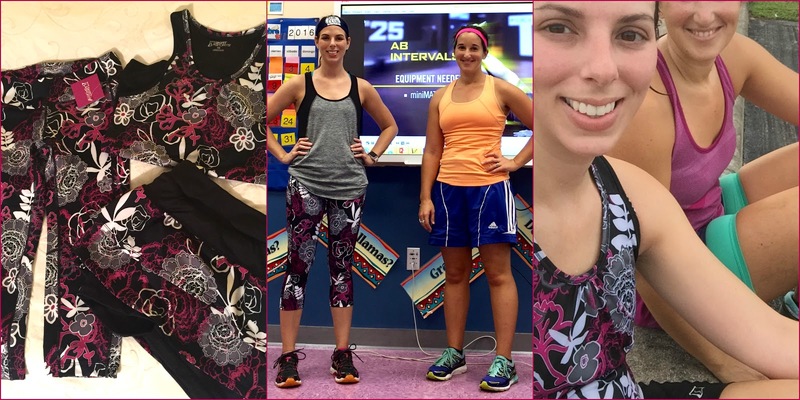 How often do you buy new workout clothes? Doing workout clothes laundry is on my list to do today! 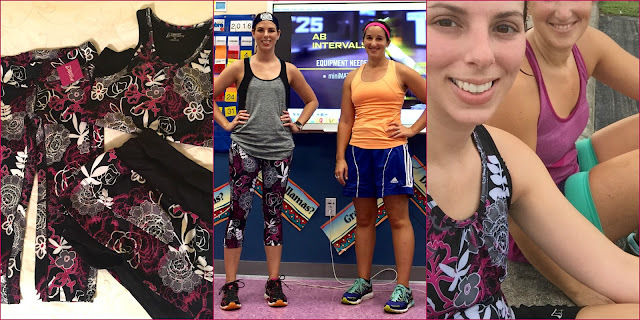 I try to buy workout clothes as little as possible! About a year and a half ago I scored at wal mart and got like 10 pairs of the same shorts. They are holding up awesome so I don't see myself needing shorts anytime soon. That is what I was really lacking. My fall running style is basically shorts and a long sleeve shirt. When winter rolls around but not FRIGID winter, I'll do shorts, long sleeve, fleece vest, gloves and ear warmers. It takes a long time for me to break out pants and I don't do capris. Basically if it's in the high 30s I can still do shorts as long as I am bundled up otherwise! Fall colors and clothes are the best! Thanks for the discount code. I've been wanting to try their shorts and keep,forgetting to order them. Will check out the site now!